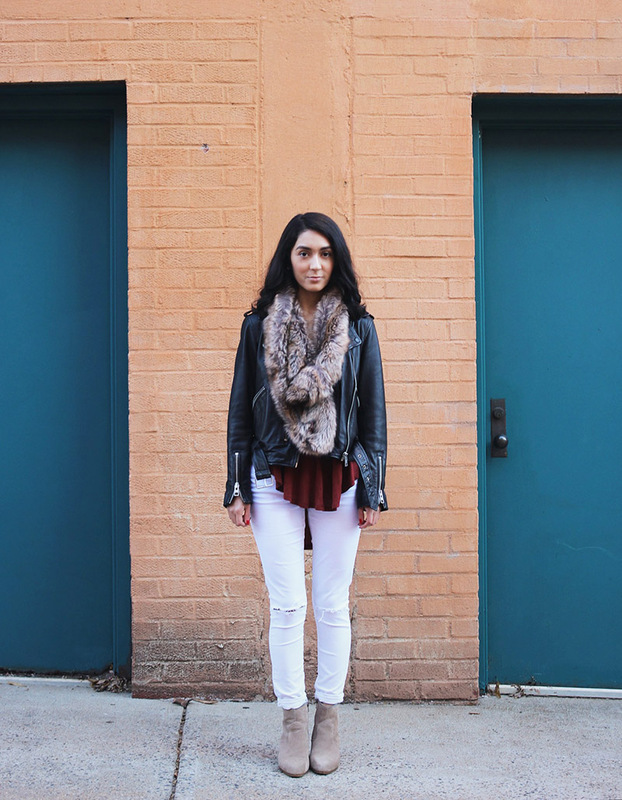 Two of my favorites this winter have been these white jeans from Topshop and my leather jacket (what a surprise, I know!). Both are a staple in my wardrobe and can be worn so many different ways. 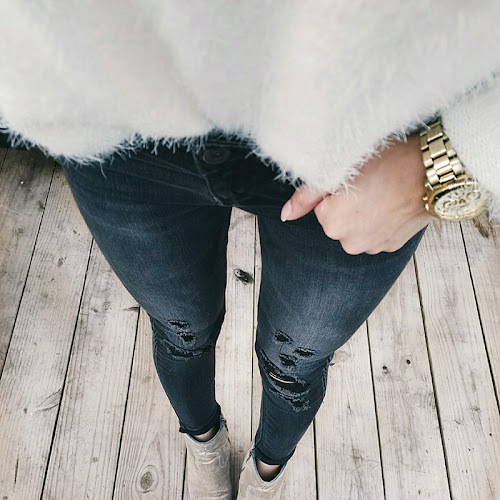 I've linked a couple similar pairs of jeans down below in the widget for you guys! I chose to wear my lace up tee that I bought during the nsale last year. I love it so much that I wish I had ordered it in grey too! 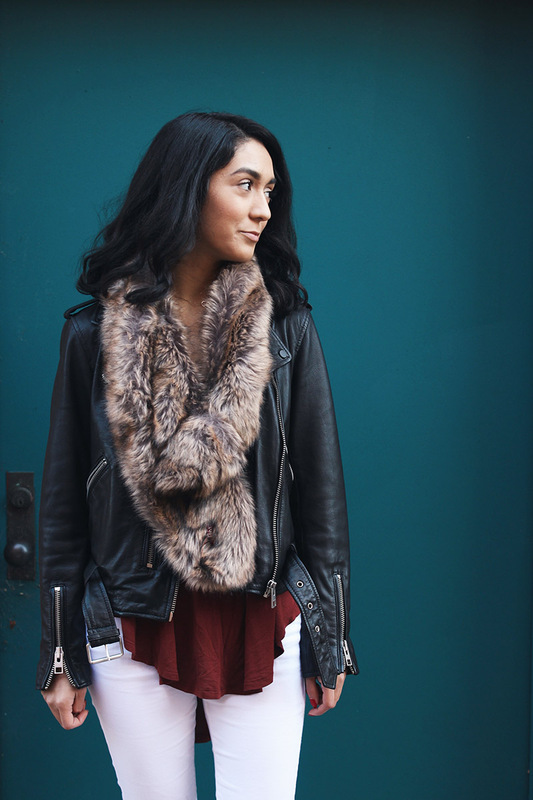 To add some warmth and interest to my outfit I layered my faux fur scarf on top! 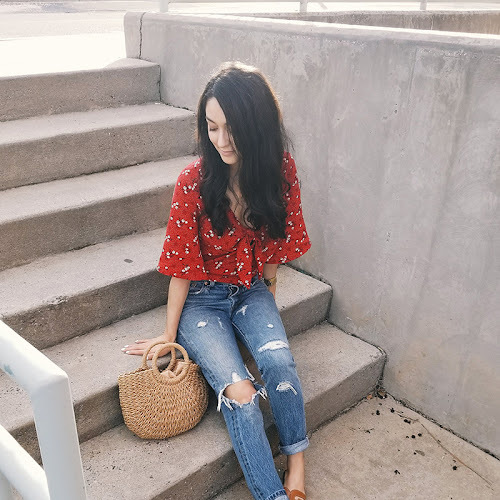 What do you guys think of this outfit? A big thank you to my beautiful and sweet photographer friend who took these photos of me! You can check her instagram out here! 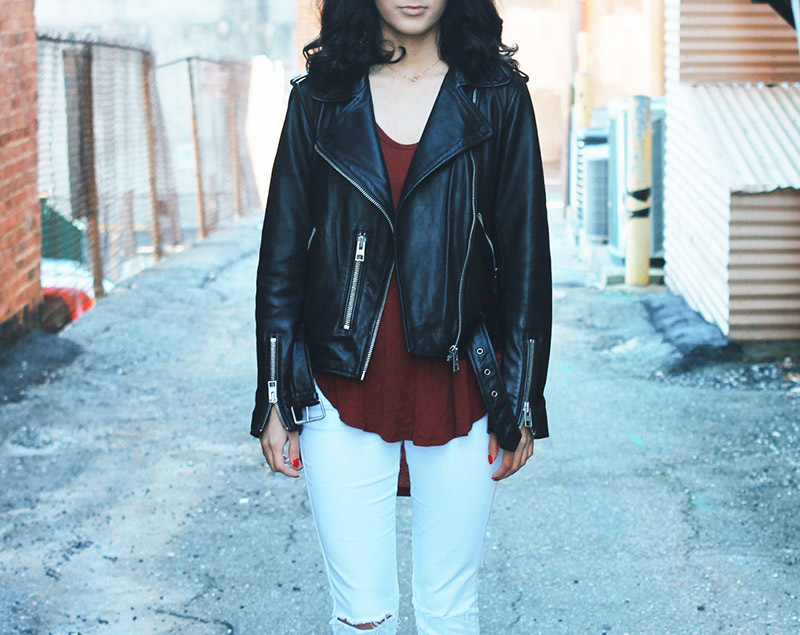 I love white jeans in the winter months I think it is such a fresh and clean look. 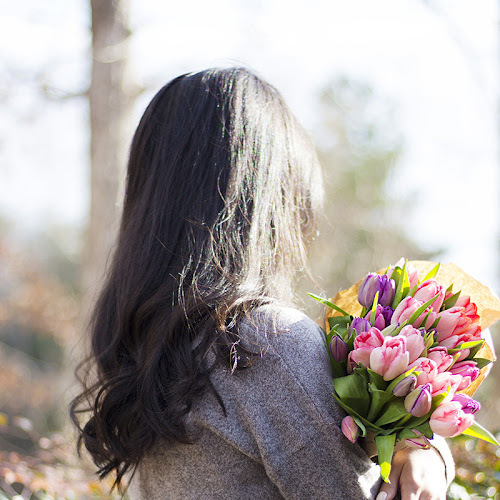 It's the perfect way to brighten up winter outfits! 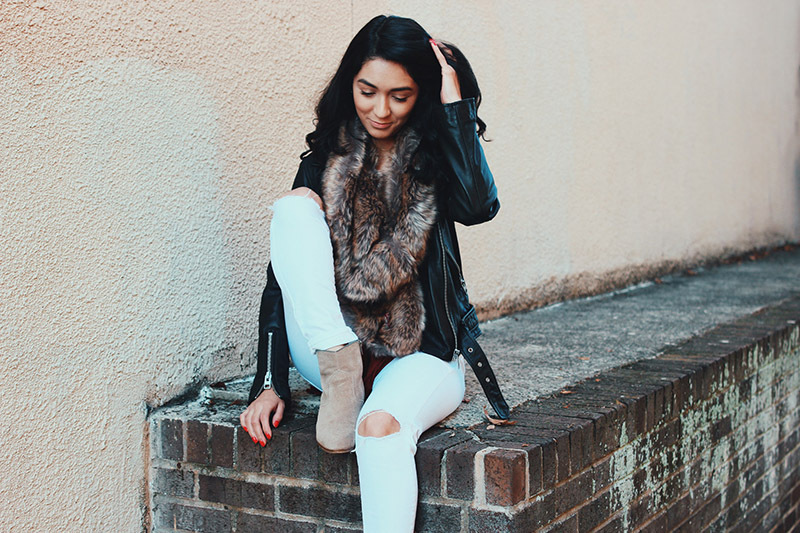 Loving that fur stole on you girl!